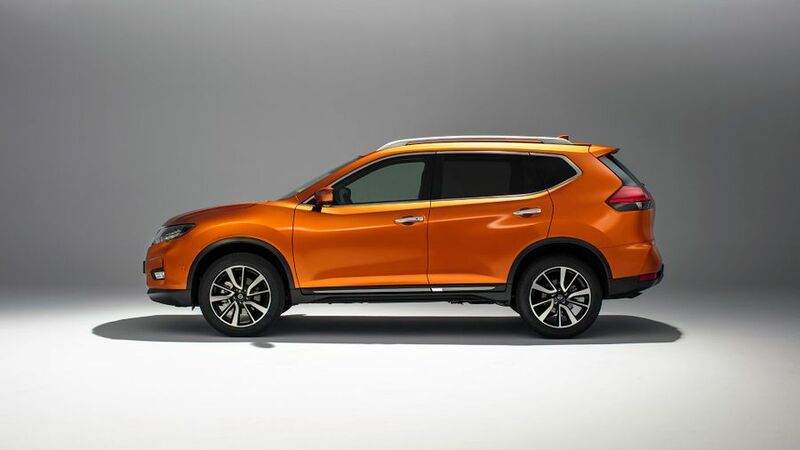 Nissan has revealed a facelifted version of its X-Trail SUV. The changes include tweaks to its exterior and interior, as well as the addition of new features and technology. 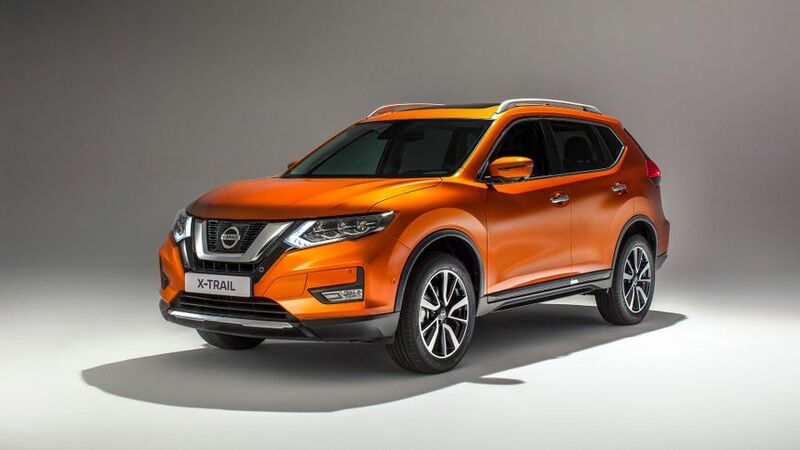 The X-Trail is the largest of Nissan’s three SUVs, and is available as both a five- or seven-seater. It sits above the smaller and cheaper Qashqai in the company's range, while the Juke is the smallest of Nissan's line-up of crossovers. Exterior updates to the X-Trail include a wider front grille, with a new bumper design in a gloss black finish. The headlamp clusters have also been updated, with new daytime running lights, and more obvious differences between the halogen lights and LED headlights. The fog lamps are now rectangular instead of circular, and there are new 17- and 18-inch wheel designs. At the rear, too, the bumper has been redesigned, with new chrome detailing, and the X-Trail now comes with full LED lights. Four new colours are also available: Orange Pearl, Red Pearl, Blue Pearl Metallic, and Dark Brown Pearl. Inside, there’s a new flat-bottomed steering wheel, which features button controls, and makes it easier to read the instrument panel. It’s also available with a heater, but don’t worry that the rest of you will be left in the cold, as you can also get heated seats in both the front and rear. DAB is now standard across the range, and there have been a few tweaks to the touch-screen sat nav. However, if you’re plumping for the top-of-the range Tekna trim, it’s fitted with an all-new eight-speaker Bose audio system as standard, and a two-tone tan and black leather interior is an optional extra. Boot size has been increased from 550 to 565 litres on the five-seat version, with total space coming in at 1,996 litres with all the seats folded down. The electric tailgate can now be opened by kicking a foot under the rear bumper. And, if you’re heading out for a weekend away, you can add and adjust shelves and dividers into one of nine configurations, including one that leaves a hidden compartment to keep things out of sight. From 2018, the X-Trail will be available with ProPilot self-driving technology, which will control the steering, acceleration and braking in a single lane on roads during heavy traffic, and while high-speed cruising. Other new features include Intelligent Emergency Braking with Pedestrian Recognition, and Rear Cross Traffic Alert. If a driver attempts to reverse and a vehicle is detected, the system gives visual and audible warnings. The one thing that hasn't changed during all these revisions is the engine line-up. Buyers can still choose from a 1.6- or 2.0-litre diesel, or a 1.6-litre petrol unit, paired with a six-speed manual or automatic gearbox, as well as two- or four-wheel drive. The facelifted Nissan X-Trail, a rival for the likes of the Skoda Kodiaq, Kia Sorento and forthcoming Renault Koleos will be on sale in the UK from August 2017. Interested in buying a Nissan X-Trail?